Doesn’t it seem as though everyone has an abundance of egg cartons around the home? The typical family can easily go through a dozen eggs in a week, leaving you with an empty carton to recycle. 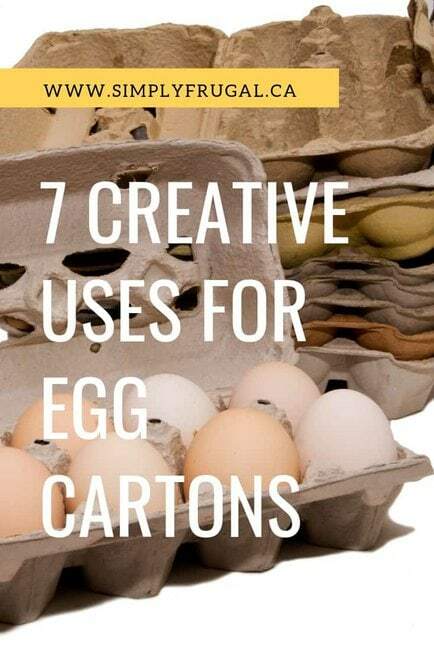 But before you give that old egg carton the heave ho, take a look below at 7 creative uses for egg cartons that you can try! You may never look at egg cartons the same way again. Poke a hole in the bottom of each compartment, fill with soil, and add a seed. They are the perfect seed starters! If you use cardboard egg cartons, the cups can be planted directly in the ground when ready. Cut away the bottom half of the egg carton and use it to sort office supplies. The little cups are great for storing safety pins, paper clips, push pins and more. 3. Add them to sensory tables. Cut the compartment into tiny cups and add them to sensory tables for kids to use as cups and pouring devices. They also work great in kiddie pools and sandboxes. Cut the compartment half and use it to keep jewelry sorted. It is great for holding small pieces (such as earrings) and keeps them from becoming lost or damaged. Mix some birdseed and bacon grease into a mixing bowl and spoon into the compartments. Press it in and freeze until solid. Pop the suet balls out and place outside for birds to dine on. They will love them. 6. Craft a sorting game. Give children a variety of colored chips, marbles, or scraps of paper and allow them to sort the colors into the various compartments. You can also have them sort according to size or shape if you wish. 7. Save them for packaging cushion. Foam egg cartons are great for storing breakable items such as holiday ornaments. You can also place the entire cartons in between valuables (for example plates, china, and other breakables) when packing. Bonus: Use them to make egg carton flowers! This is fun for the kids and you! Take a look at all these great ideas I found on Pinterest! How do you like to reuse your empty egg cartons? Let me know in the comments below!